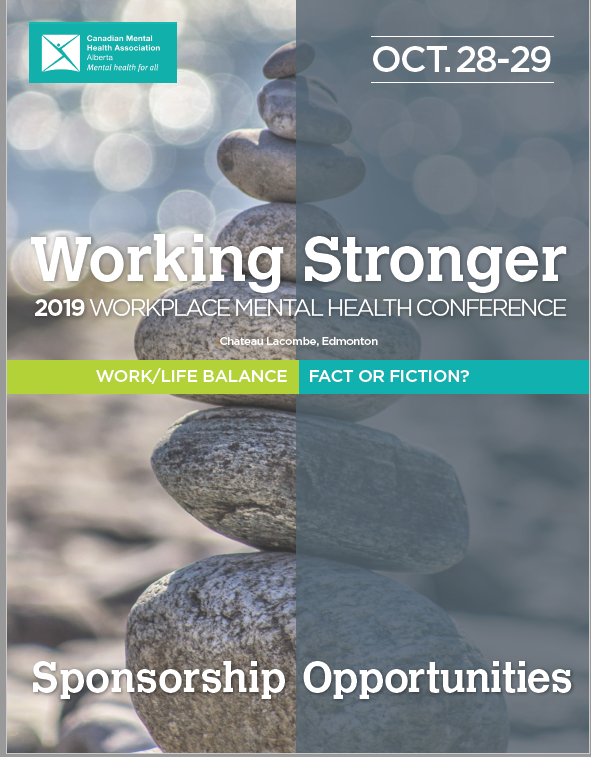 In October 2019, the Canadian Mental Health Association, Alberta Division is hosting a Workplace Conference designed to guide Alberta’s employers in achieving better mental health in the workplace. Working Stronger – Work/Life Balance, Fact or Fiction? is two days of networking, information exchange and dialogue that will advance our efforts to support healthier workplaces across the province. It will bring together the most creative and inspiring mental health thinkers and leaders in the field.